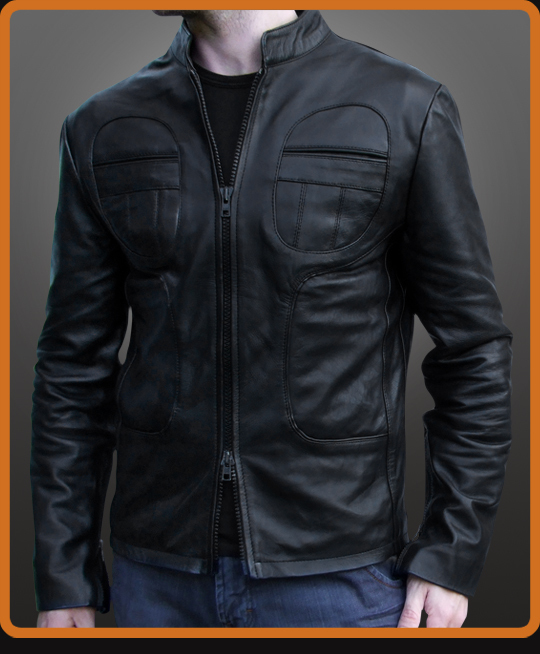 Vintage biker style black leather jacket with authentic round chest pockets and front piping which curves down to form the lower pockets. Nehru/Mandarin style collar. Superfly! Available in Black and Antique Brown.